With the Pepwave SpeedFusion Engine, you can add the capabilities of this advanced technology to your network without having to buy lots of new equipment. This special compact router can be connected directly to ATMs, kiosks and other M2M devices or to another router. It contains two cellular modems plus wired WAN, using bonding to combine them for faster data speeds. Automatic failover ensures your network will stay online if one connection goes down or out of range. The SpeedFusion Engine for SD-WAN is available with North American 3G/4G/LTE modems or global Cat6 LTE advanced modems. 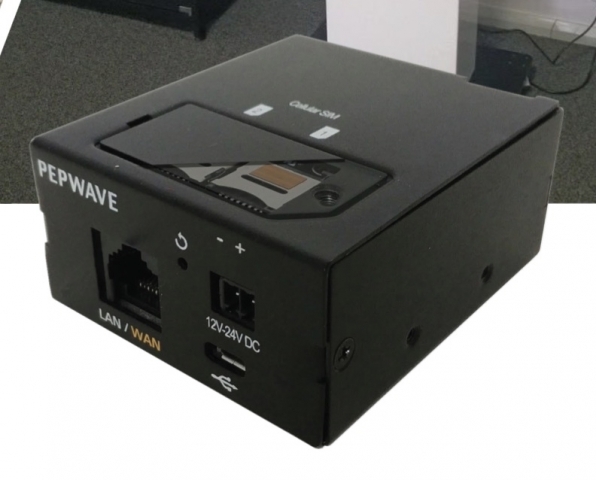 Pepwave's SpeedFusion Engine is useful for space-restricted and power-restricted installations or to give current routers additional functionality. The SpeedFusion LTE Engine has many other features the technology is known for, including unbreakable VPN security and IP Passthrough for up to 60 simultaneous users. Both Ethernet and USB ports are built in for simple plug-and-play integration with no additional software necessary. 3GStore’s free tech support for a year and extensive support portal documentation will help you get your SpeedFusion Engine for SD-WAN running optimally in your network.